To say that Madisyn Bonestell is a partner of the FACE Foundation is an understatement. 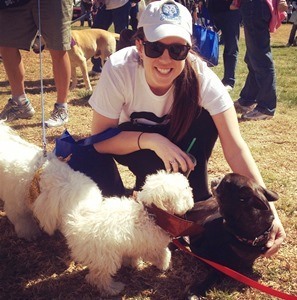 Currently the Client Care Lead at San Diego’s Veterinary Specialty Hospital, Madisyn is a long-time member of the FACE family, having interned with us for six months prior to joining the staff at VSH. Madisyn has a unique perspective on the work that FACE does in collaboration with our veterinary partners to help save the lives of pets in need of urgent medical care. “I know most of the people at FACE very well,” she says. “They are all so helpful and truly care about the pets.” Madisyn’s experience working with both FACE and VSH has been invaluable. She knows that a FACE grant means a second chance at life. “FACE is all about the animals and giving owners more time with their beloved pet,” says Madisyn. Her career at VSH has given her the pleasure of witnessing medical miracles firsthand. “It’s amazing watching pets walk out of here and going on to live a full life with their loving owners,” she says. Madisyn’s most memorable FACE case at the hospital has been Loki. Many friends of FACE will remember sweet Loki and her loving family. Loki was able to have life-saving back surgery with the help of FACE. She and her family became great advocates for FACE. Loki unfortunately developed cancer and was again helped by a FACE grant before passing away. “I enjoyed being a part of Loki’s second and third chance at life,” says Madisyn. When not working at VSH, Madisyn enjoys spending time with her dog Jacob, reading, and hanging out with her friends. A true San Diegan, Madisyn loves going to the beach and experiencing all the fun things the city has to offer. FACE thanks Madisyn and everyone at VSH for all that they do to help save the lives of pets in need.